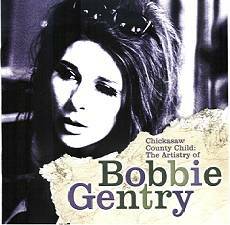 From the late 60s to the mid-70s, Bobbie Gentry had a rather impressive stint as Nashville royalty, though now she is best remembered for just one song. One truly great song, granted, but her debut single Ode To Billie Joe was just the beginning of Gentrys subtly subversive body of work. She was never willing to completely sell out her musical beliefs to Nashville though, and stubbornly followed her own muse at the expense of commercial success. Oh, sure, she could sell out a bit, too, recording slick covers of Burt Bacharach songs and duet medleys with Glen Campbell. This twenty-three-song reexamination of her back catalogue wisely overlooks those indiscretions, though, deciding instead to focus on Gentrys songwriting abilities. It shows a wonderfully diverse talent that deserves to be remembered as one of the great songwriters of country music. Ode to Billie Joe does deserve its legendary status. It truly is a stunning piece of songwriting. Over a subtle guitar-picked line and an unobtrusive string section, the lyrics resonate like a great short story. The tune starts off as a first-person narrative of a country family talking over dinner. But slowly, insidiously, a multi-layered and fascinating story of love, passion, repression and suicide is matter-of-factly born. It leaves the listener with more questions than it gives answers. Why did Billie Joe McAllister commit suicide? What was his relationship with the narrator? What exactly was it that she and Billie Joe threw into the river off the Tallahatchie Bridge? Pointedly, no straight answers are given. Gentry respected her audience enough to let them come to their own conclusions, and this ambiguity just heightens the songs seductive strength. 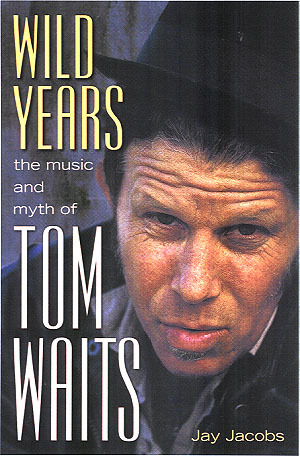 Respected songwriters such as Tom Waits and Rosanne Cash (whose father Johnny was no slouch as writer of story-songs either) have said that Ode To Billie Joe opened their eyes to the possibilities of portraying life in their lyrics. Listening to the other songs in the compilation, one can see why she never quite clicked with the Music City hierarchy, though. Most of these songs are not what would be considered straight country music. Gentrys musical palette was much to broad to limit herself to one style. Im sure the country programmers didnt know what to do with songs like Mississippi Delta, which was an intoxicating mixture of Stonesy garage rock and country storytelling. Penduli Pendulum has a light carousel tune. Hurry Tuesday Child is a sweetly tantalizing jazz lament. I Saw An Angel Die is a delicately lovely ballad that could have been recorded by Dionne Warwick. Okalona River Bottom Band starts out sounding like a Stax funk side before settling into a swaying tender country groove. Hushabye Mountain has a gentle bluesy lullaby quality. The Girl From Cincinnati is a great piece of sixties power pop. Copyright � 2004 PopEntertainment.com, All rights reserved. Posted: May 23, 2004.